Once upon a time, before he took the head coaching duties in Tampa Bay, and in Piscataway, New Jersey, before that, new Ohio State co-defensive coordinator Greg Schiano was one of America's hottest young assistant coaching prospects. While many of his contemporaries were getting head coaching jobs at both the college and professional levels thanks to their proximity to Bill Walsh's 'west coast' coaching tree, Schiano's résumé was filled with experiences that taught him how to stop those very offenses. Following an all-conference playing career as a linebacker at Bucknell and one year as a graduate assistant at Rutgers, the Garden State native secured a similar position on Joe Paterno's staff at Penn State. A year later, in 1991, the young coach was offered a permanent job there, tutoring defensive backs for the next five seasons, a tenure that would include their undefeated campaign in 1994. While the drama around former defensive coordinator Jerry Sandusky has certainly clouded this era of Nittany Lion football, many forget that those teams featured some of the nation's most dominant defenses in the country. While Schiano often credits Paterno in this period for teaching him how to develop and run a program, Sandusky would provide him with a baseline philosophy that would come to define the next decade of his career. By the early 1990s, many college teams had adopted the 4-3 defense made famous by former Miami Hurricanes head coach Jimmy Johnson, given its ability to combat the option. Given Penn State's consistently difficult schedule as an independent, which often meant facing a version of the triple-option with regularity, Sandusky was forced to bring this concept on in Happy Valley. When Schiano arrived in 1990, Sandusky had already built an entire philosophy around the 4-3, one that didn't change much for the following two-and-a half decades in State College. The Nittany Lions would attack every single gap through which an offense might look, making each member of the defensive front seven (or eight including the strong safety) responsible for filling the space between blockers, looking to create a wall on running plays. 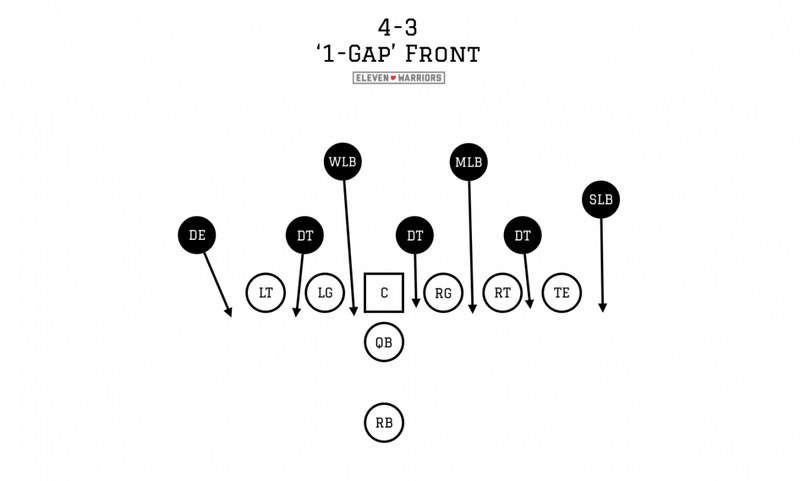 Unlike the '2-gap' responsibilities given to defensive linemen in other defenses (most notably, the 3-4 scheme still run by the Pittsburgh Steelers), each player in this system looks to fill his gap and create what Schiano would call a 'wall of cloth' for the runner, leaving them nowhere to go. By asking each individual defender to cover a specific piece of real estate on a run play, their jobs become much simpler and allowed them to play more instinctively and aggressively, ferociously attacking their gaps. Of course, Schiano was in charge of the secondary in this defense, meaning his mind was often on the remaining four players on the field. With so many teams running '21' personnel (2 running backs and 1 tight end) at the time, Schiano's strong safety was often playing the role of the fourth linebacker in run situations to fill the eighth gap created by that fullback's block. Both cornerbacks and the free safety then became responsible for defending against any deep passes, knowing their teammates would be looking to stop the run first at the first sign of a handoff. 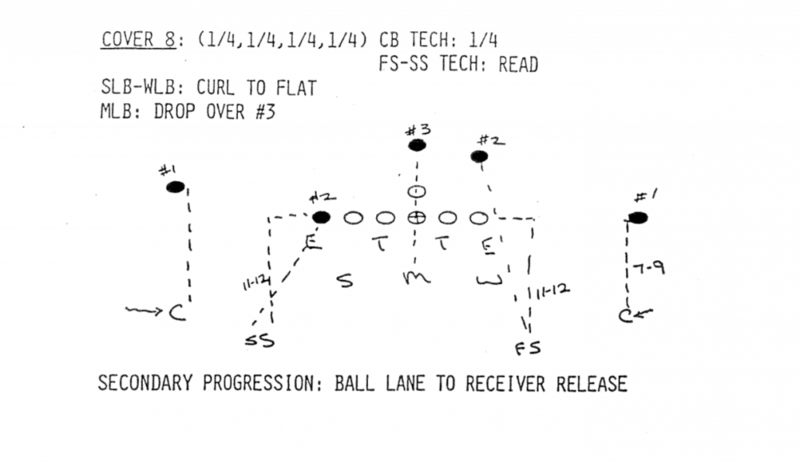 To keep play-action fakes from gashing them, the Nittany Lions often called for zone coverage with those three players each covering a deep third of the field (known as 'Cover 3'). There are many offensive schemes that are known to be effective against a basic zone defense, which is why Schiano earned his money on the practice field instead of the classroom, a custom that would help define his outlook as a coach. Instead of installing new schemes every Monday designed to stop their upcoming opponent's strengths, Schiano's secondary would add tweaks to their technique, bending their overarching system to fit their weekly needs. 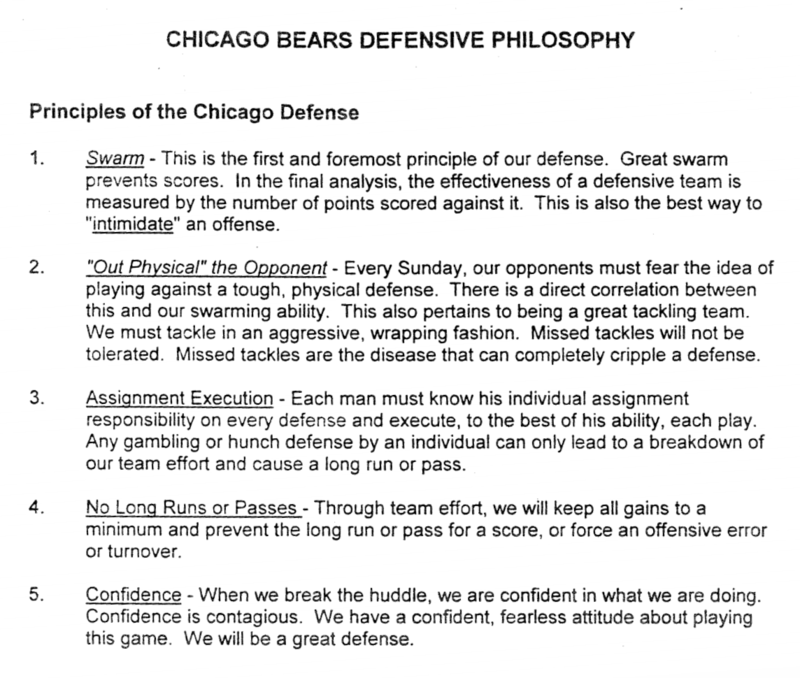 Upon taking a similar role with the Chicago Bears in 1996, Schiano would begin what was effectively the 'graduate school' period of his career. While in the windy city, he'd get to work closely with head coach Dave Wannstedt, who had previously been the right-hand man for the aforementioned Johnson at Oklahoma State, Miami, and the Dallas Cowboys, where he had been one of the chief architects of the 4-3, 1-gap defense. However, Schiano would virtually copy and paste Wannstedt's defensive philosophy when he'd become a head coach, so much so that the pair would be reunited years later with the latter becoming the special teams coordinator and assistant head coach in Tampa. Many of the same themes could be seen a decade later when Schiano spoke on the subject at a 2008 coaching clinic while still at Rutgers. While many of the above statements may seem obvious, his teams pay a great deal of attention to the details of each, dedicating precious practice time every day to achieving perfect tackling technique and understanding the proper way to take an angle to the ball-carrier. After Wannstedt and his staff were let go following the 1998 season for failing to find much success on the offensive side of the ball, Schiano found work with one of Wannstedt's former colleagues at the University of Miami. Butch Davis had been the defensive line coach for Johnson in Coral Gables and Dallas before taking over coordinator duties once Wannstedt left for the Bears, meaning brought a nearly-identical playbook back to the Orange Bowl when he became the head man for the Hurricanes in 1995. When Schiano joined him in south Florida, Davis had rebuilt Miami into a national power once again, thanks in large part to the talent he recruited to fill the 4-3 scheme. Davis' defense was regularly one of the nation's finest units by the time Schiano arrived, making his first foray into play-calling much easier, although with high expectations. With future NFL pro-bowers like Dan Morgan, Jonathan Vilma, and Ed Reed at his disposal, Schiano was able to operate the Hurricane defense at an extremely level for a college squad, utilizing sections of the playbook few others could and setting the table for a dominant, national championship effort in 2001. 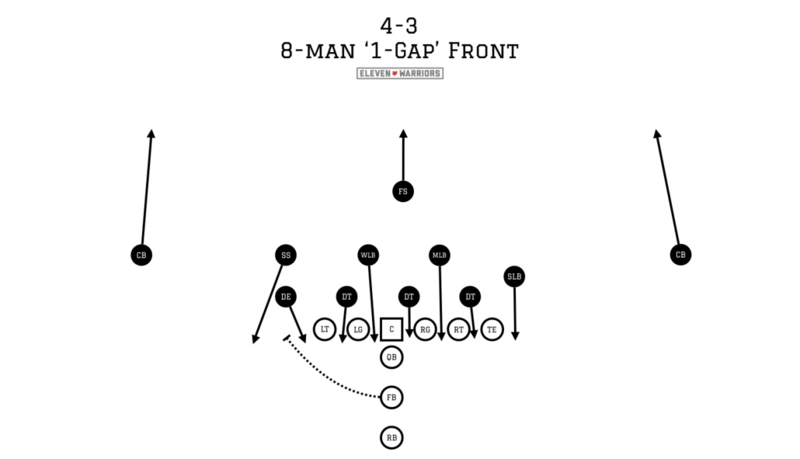 While the front seven still operated in much the same way when stopping the run, Schiano's experience running an NFL secondary and the exceptional athletes available allowed him to mix and match versions of Cover 2, Cover 3, Cover 3 'Cloud,' 'Quarters,' 'Quarter-Quarter-Half' and a number of man-coverage looks that would complement a five-man blitz with the free safety in a deep-middle zone (Cover 1). Schiano would only spend two seasons (1999-2000) in Coral Gables before leaving to take the head job at Rutgers, but would help shape a legacy that would come to define some of the best defenses of the era. In 2002, the Tampa Bay Buccaneers would win the Super Bowl thanks in large part to an iteration of the 4-3 look that became known as the 'Tampa 2.' While Tony Dungy, Monte Kiffin, and Lovie Smith helped bring that coverage style to popularity throughout the 1990s as a way to stymie the horizontal passing attacks of west-coast offenses, the run-stopping philosophies that it espoused could be traced right back to Johnson's coaching tree. Countless defensive play-callers have tried to copy the system since, hoping for similar success of their own, with many different styles emerging but only a few standing out. The 'Tampa 2' and Penn State's Cover 3 have been around the longest, but new looks like TCU head coach Gary Patterson's 4-2-5 and the 'Quarters' defenses run by Michigan State and Ohio State have emerged as the most effective variations against spread offenses. Given that Schiano has spent much of the past 15 years running entire organizations instead of calling defenses or teaching technique to defensive backs, his joining Urban Meyer's staff as co-coordinator now may seem odd on the surface. Many expected the Buckeyes to select someone with a résumé nearly identical to Chris Ash, the man he is replacing, with a deep knowledge of the 'Quarters' defense that helped lead them to the 2014 title. Yet Schiano's vast experience in the larger 4-3 system should benefit the entire staff, keeping them from becoming over-reliant on the same schemes. As we've seen with the Buckeye offense from time-to-time under Meyer, there are weaknesses in any play-calling philosophy, and opponents will soon find ways to attack the 'Quarters' look that is currently en vogue in Columbus. Even if his tenure in Scarlet and Gray is a short one, Schiano's presence should help the Buckeyes not only transition through a mass exodus of talent, but will help fellow assistant Luke Fickell, Larry Johnson, and Kerry Coombs navigate the future of the Silver Bullets. Next week we'll take a look at how Schiano's experience may shape the 2016 Buckeye defense.